Growing up, I frequently found myself playing casual games of Loteria (a.k.a. “Mexican bingo”) with my grandmothers, storytellers themselves who, after calling each card, told a crazy life story to go with it. I, like other Latinos, soon associated the game with family, culture, and good times and, like the many other artists before me, was inspired by the game’s vibrant colors and interesting characters to inevitably make a film based off this significant staple in my heritage. 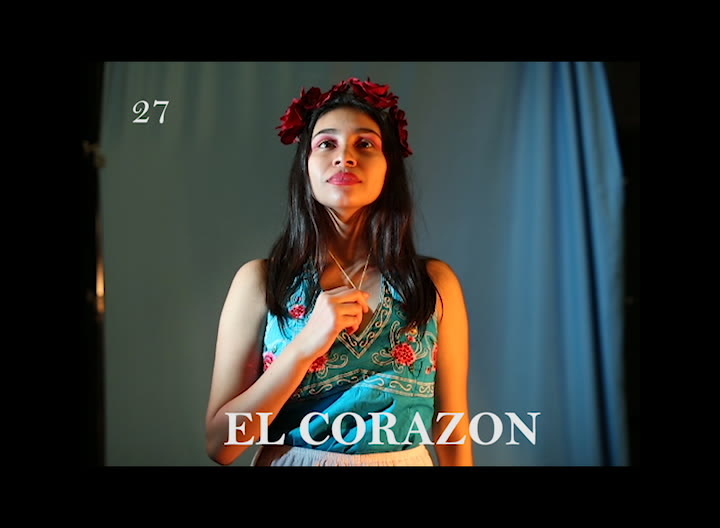 Thus, given the opportunity to make a music video for my high school’s film festival, I aimed to create a film that not only highlighted but effectively captured the vibrant, rich, and beautiful spirit of my Mexican culture. The "No Quise" music video, presented entirely in my grandparents’ tongue, features a song produced and written by my pals Crisia Regalado and David Aquino from Sin Color (“Without Color”). Keep up with Amaya on Instagram and her website. You can check out Sin Color on YouTube and Instagram.